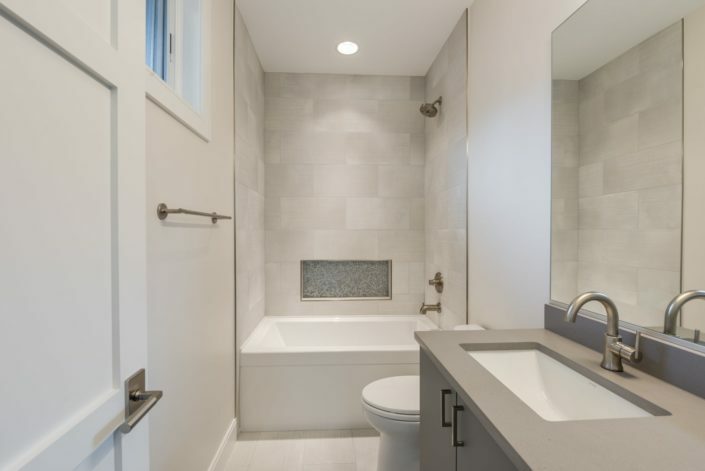 Classic Modern Finishes, Laminate Cabinetry with Quartz countertops. 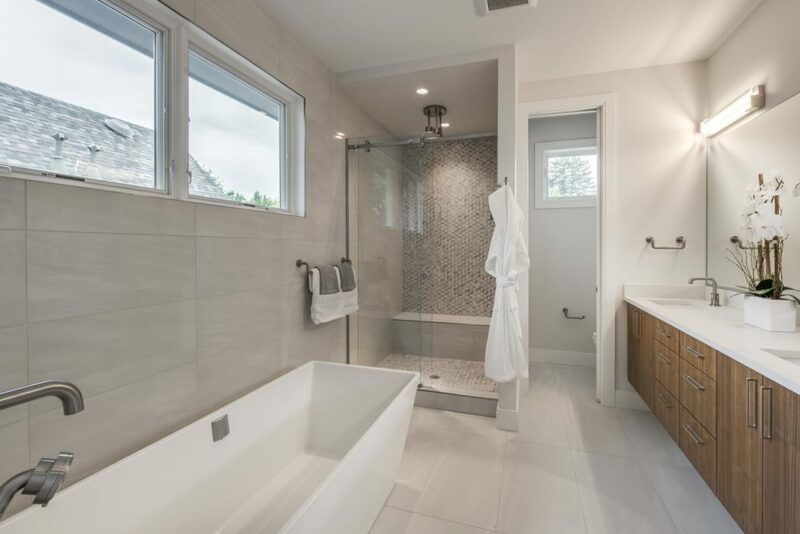 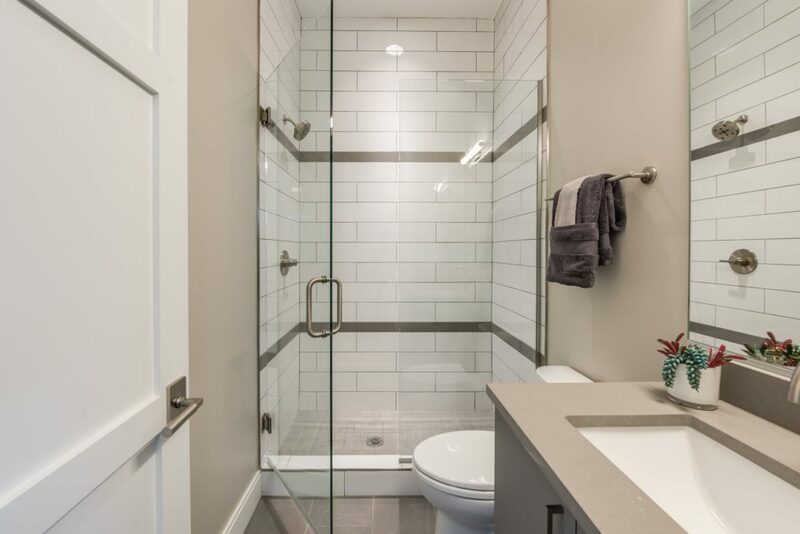 Master Bathroom is clean white subtle pattern tile with Walnut cabinets and stone mosaic on back wall of shower, barn door sliding glass shower door. 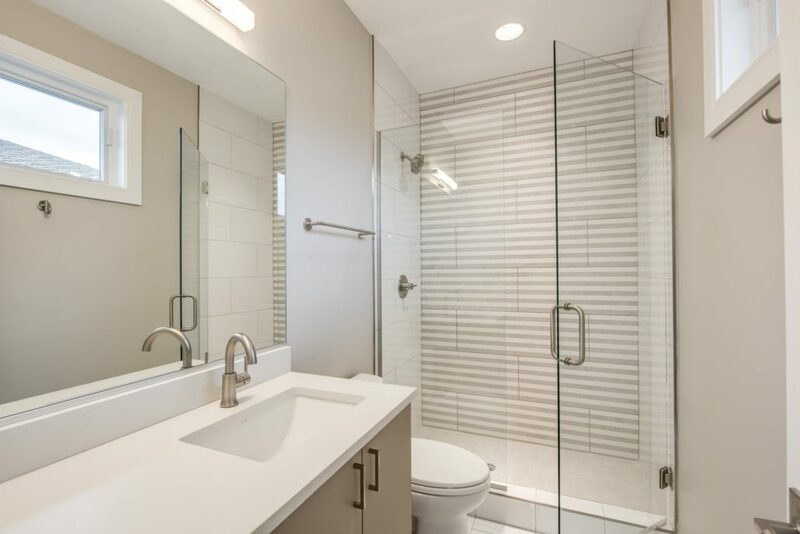 Guest Bathrooms are clean, modern and classic – super fun large scale striped tile and combinations of white and gray in other baths.